You can perform Hyundai Sonata repair or hire an expert to do the work for you. With regular maintenance and management of repairs, you can extend this vehicle's life and reduce the risk of accidents. Finding someone to repair your Hyundai Sonata is not difficult. Most dealerships and auto repair shops will service this vehicle. The types of repairs done will vary based on the make and model of the car, though. It may be more difficult to find parts for older models of the vehicle. The basic warranty offers five-year, 60,000-mile coverage. A drivetrain warranty is often available and is a 10-year, 100,000-mile warranty. A roadside warranty may be available. If so, it is a five-year, unlimited-mileage warranty for most vehicles. The company may also offer a rust warranty for the Sonata. When applicable, this is a seven-year, unlimited-mileage warranty. If you are unsure if your vehicle is still under its warranty, contact a local dealership. The dealership may be able to look up the details of your vehicle if it was properly registered. In many cases, the warranty will cover most significant repairs in the first years of the car's life. Edmunds.com offers a forum where a great deal of Hyundai information is readily available. 2CarPros.com is another resource where consumers can ask questions and get advice. If you do not have the experience to work on vehicles, it is often best to leave these tasks to professionals. Keeping your vehicle in good working condition is a necessity for driving safely. 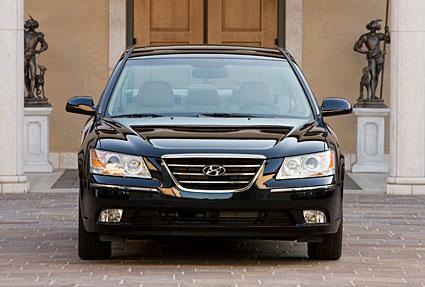 The exterior lighting for model years 2005 to 2007 recall affects Hyundai owners. The brake lights may fail to light when the brake pedal is pressed. A recall of all 2006 and 2007 Sonatas is necessary for a repair to service the brakes on the vehicle an to ensure that the transmission shifts properly from a park position. An air bag recall is also in place for vehicles manufactured from March of 2005 through January of 2008. The problem is with the advanced air bag system for the right seat of the vehicle. The occupant classification system, or OCS, may not properly identify a child, which could lead to injuries. Learn more about other Hyundai Sonata recalls from your dealership. You can also find a list of recalls for the vehicle at Automotive.com. 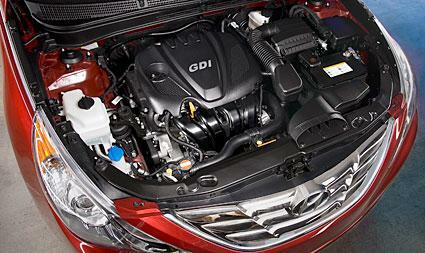 In each of these situations, it is best to have a licensed technician repair the vehicle. Car accidents, misuse of the vehicle and general wear and tear will cause problems with the car. It is also important to replace tires, brakes, and wipers regularly. Changing the vehicle's oil every three months, or every 3000 miles is also necessary and may cut down on some other repair needs.